1 October 2015. Filed under category Music - General, Music - Heavy Metal. The idea to do a ranked list of Judas Priest’s studio discography was undeniably inspired by Angry Metal Guy’s Iron Maiden retrospective. 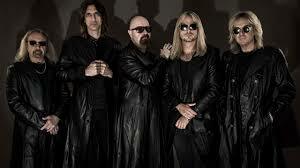 I like Iron Maiden a lot, but I am one of those metalheads that likes Judas Priest better. That’s just how it is. The first time I saw Priest live (Sydney 2001) I had to fly from Wellington because Priest never seemed to come to NZ. Tim Owens was the vocalist so I have stuck with them even through that period when a lot of outside interest in Priest seemed to wane. By contrast, to this day, I have never even heard an album from the Blaze Bayley era of Iron Maiden. Mind you, AMG’s article, which rates The X Factor relatively highly, has motivated me to check it out some time soon.…any day now…. Whatever the background, I am more qualified to comment on Priest (than Maiden) as I own all their albums. Admittedly, I have had to revisit a few to jog my memory in preparation for this because I tend to only listen to what are considered “the classics” with any regularity. Priest’s latest opus is, to my mind, the most disappointing of their entire catalogue. Even though KK Downing had left the band there was hope that the lead guitar and song writing department might be revitalised by some new blood because I had seen Ritchie Faulkner play with Priest a few times in London and it was fantastic. Not only that but the guitarist in Monsterworks, Marcus, knew him personally from the Camden scene so I actively wanted Ritchie to succeed. I still do. Alas, for the time being, it has not quite got there on the recording front as it has in the live arena. 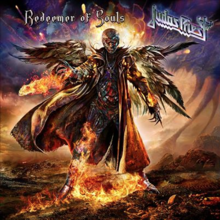 Redeemer of Souls suffers from not just a terrible title (why not just call it Jesus Loves You??!!) but fairly average songs and even worse lyrics. There is still some good stuff here but it is padded out by unnecessary filler such that it is at least 20 minutes too long. I pre-ordered the vinyl and knew it was something to worry about when a 2LP set was delivered. The production is quite bad although more listenable than some of the complaints I have read would suggest. Anyhow, both of these flaws – bad sound and tedious length – basically prove that Priest needs a good external producer to bring out a classic. This problem of length is not isolated to Judas Priest as many have the same despair when listening to Iron Maiden’s latest: Book of Souls (and every other Maiden album since 1994 for that matter), but the song writing is much more consistent in Maiden – and it sounds better from a production standpoint. I really have tried to like Redeemer of Souls but it just isn’t sticking. Possibly it should be edited down to a more manageable 38 to 42 minutes but a man has to respect “the way the artist intended it”. I don’t even listen to compilation or greatest hits albums for that reason because the album experience is diminished. So, while it has some very good moments, Priest delivered a record that is the weakest overall in its entire history. For the love of Rob, my hero, please hire a producer and let them do their job. 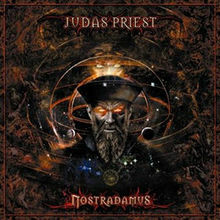 Hardly surprising that the next worse album is the much maligned Nostradamus which has the same problems as Redeemer of Souls. However, a (triple!) concept record can be justified if the songs hold together and its story becomes an engaging experience. Unfortunately, the subject matter just isn’t something of any interest to me. The story is based on a historical figure, but I flatly do not believe that this man was some kind of prophet, so the basic premise fails at the first hurdle. I would have much preferred a work of fiction/fantasy so long as it was interesting. Nevertheless I like this album more than its successor because some of the songs are just better. Higher highs you would say. If it had been cut down to a single album of 40 minutes it would have been great, excellent even. But once again, it shouldn’t be for the fans to edit it down to bring out the best parts. Get a producer to do that if you cannot do it yourself. So I say again, for the love of Rob, my hero, please hire a producer and let them do their job. Many readers might expect Demolition to haunt the very lowest rung on Priest’s ladder of awesomeness. However, for me, this album was current when I first saw the band play live and despite its obvious flaws has some good, if not especially memorable, stuff on it. Ripper Owens did an admirable job filling in for Halford and it is hard to know how much of his influence actually makes it to the record. Priest is guilty of following trends somewhat and so this album fits relatively comfortably in the era it was released. Of course many fans at that point pretty much wanted (still want) a rehash of Painkiller for every record, so a band that likes to experiment is always going to be caught between a rock and a hard place. I now realise we have gotten this far into a rundown of worst to best Priest albums without mentioning a single song by name. There is a reason for that….it is simply because I do/did not listen to these lower ranking albums very often at all except for when they were first released. 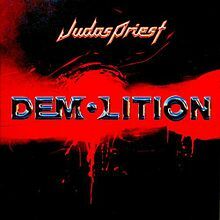 The tracks on mediocre albums kind of blend into one another and on Demolition we are still in that territory even though I recall I kind of enjoyed the album at the time it came out. The running length of Demolition is also waayyy too long but perhaps I was more forgiving back then. Now I am older, bitterer, and buying a hell of a lot of classic vinyl albums which are limited to around 40 minutes, I just do not have the patience for long mediocre albums where the artist thinks it is giving the fan “value for money”. On paper it would be great. Rob Halford re-joining Judas Priest over a decade since the last studio album he did with them. In the meantime Halford had done Fight – a band I listened to a few times but never really clicked with, “2wo”: some kind of industrial project I have still never heard; and his eponymous solo band. The Halford band was pretty awesome. While Resurrection was a few tracks too long it was hands down the best album Priest never made. Silent Screams might just be in the top five songs Halford ever recorded. The follow up Crucible was fairly solid too, although it seemed to go south after that. Meanwhile Priest itself had recorded two albums with a tribute vocalist (albeit a great one) that had a rather lukewarm reception. The stage was set….on lumbered Angel of Retribution. It starts well, but not so well that I can really remember any of the songs, except Loch Ness. Good grief. After that I suppose Nostradamus should not have come as any surprise. 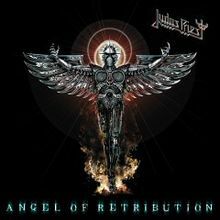 It was definitely exciting at the time for a new Halford-led Judas Priest album to be released, but it can’t have been that good because I have hardly listened to it in the ten years since; not when you have such other great stuff to choose from. Cathedral Spires: that song and the title track are the only reason I really liked Jugulator at the time of release. The rest of the music was adequate, not great, heavy metal but I was willing to give the new vocalist a go. Tim Owens deserves a commendation and has a distinct voice all his own. He is just not Halford, so this guy always had a mountain to climb. If the music had been exceptional all the way through then I could have easily lived with our Lord Rob’s absence but it just wasn’t. That was never Tim’s fault. 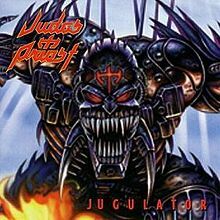 For me personally Jugulator arrived in 1997 and was far enough distant from Painkiller (when my fandom was probably at its peak) that the Priest glow had dimmed somewhat. I certainly wanted it to be great but, as you may have gathered from the countdown so far, every single subsequent album, even with Halford’s return, has failed to really grab my attention and prove that Priest is a source of eternal excellence. This sounds harsh considering I had never even seen the band live until 2001 and maybe half a dozen times since (mostly in London but the best was 2008 in Brisbane, front and centre with my best mates). I still hold them on a pedestal and have a blast seeing them live. Maybe these 13th to 17th ranked albums are where they are due to my own changing tastes? It is true they do not have the nostalgia value that the earlier albums have so it’s hard to be objective. It is what it is. 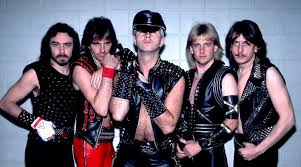 Despite everything, I truly believe that Judas Priest can birth one final classic album if it just plays to its strengths (old and new), cuts the crap and hires a good producer. Presumably a good producer will also insist on using a good studio. The recent albums sound like every corner has been cut sound-wise in order to get an album done. This is not the way to do it even if Glenn and the boys like the idea of utilising the latest technology. The latest technology, like laptop recording from home and replacing every drum hit with a sample, still does not capture the magic that was possible in the 70s. Go back to basics and that in itself will make a huge difference to the Priest sound on a new album. Now, we have the lower ranking albums out of the way it is time to return to the more “classic” era which ended in 1990. 25 years ago. OMG BTW. …but you will have to wait until the next post for that!